And if anyone is interested, you can download the release candidate of the map. As usual, all feedback is welcome. Last edited by phantazm11 on Mon Aug 02, 2010 8:48 pm, edited 1 time in total. As I already said on irc I really like the map - great job! These windows don't really fit in IMO. They really stand out due to their brightnes. These small wall parts should be broken up a bit. This formation of crates looks really weird. You should remove some of them and add something else than crates - maybe metal barrels. You could also make a part of the wall there look destroyed and have some bricks laying around. The placement of the shadow belonging to that fan doesn't look right - maybe you should just put it somewhere on the floor. The ends of the moving parts of this machenary should somehow float into the wall so you don't see them. I hope you understand what I mean.. =) You could use some fog to make them less visible. Also I think that the gothic lamps don't fit in. About gameplay - just played a quick tdm with bots but if the map is made to be playable in TDM it desperately needs a powerup. Maybe you should switch RA and MH and then replace the MH with quad. Constantly raising the bar, are we? It looks brilliant. I will post some feedback in a bit. On a side note, I took the liberty of reviewing your previous contest submission for lvlworld. It was painful to see it sit there. Good luck in the competition, not like you need it. @cityy: Thanks for the feedback man. Great ideas. I also agree with pretty much all cityy has already mentioned. damn man, it's looking really good love how clean and yet detailed it looks. Wow akm, thanks for the ideas! I like most all of them. I think unclipping the bars would have a negative affect on gameplay for TDM matches. 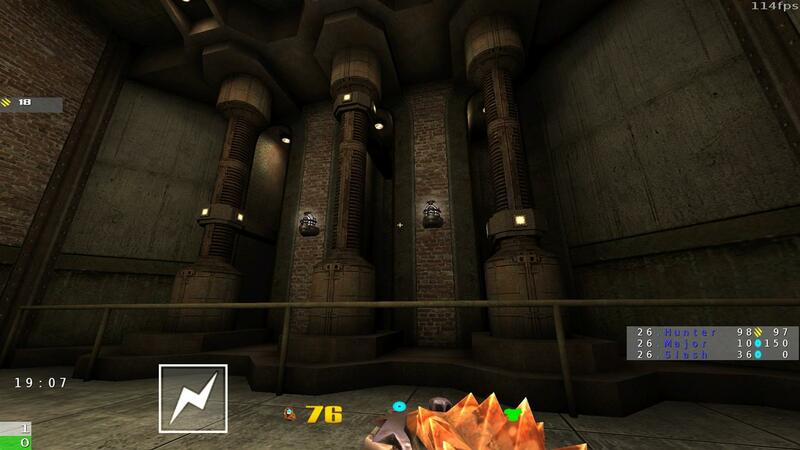 It would give very quick access to both of the main powerups on the map. And the little ramp in the curve hallway I added to give access to the ledge from the opposite direction. I don't mind removing this if having the ledge accessible from one direction is ok. The rest of your ideas are gold! Damn.... you've got style, Phant. I am blown away, especially considering how quickly you got this map up and running. The architecture is great, especially in the central areas; the texturing is absolutely top-notch; but I think what really sells it all is the lighting. Each aspect of this map is more perfect than the next! Very, very well done. I only have one real complaint and it can't be fixed, so just keep this in mind for future endeavors. The scale... it's a little off. Luckily the player doesn't really feel it in a very direct way since there aren't too many real world objects to feel "small" in comparison to. Still, it's affecting gameplay in a slightly negative way. I felt vaguely frustrated by the distance between items, and I also noticed the extra space overpowered the LG a bit, given it's strength in mid-range battles. Q3A Scale is tough; I have exactly this problem in my maps too. They always start out a little too big and I have to shrink them down a bit before they "feel right". I noticed the RA is located in a more traditional MH position, and vice versa. Did you do this consciously? That pipe texture is a little strange. I can't quite get used to it. I think it might just be me though. 25 health in PG area? Perhaps you should open up those jail bars overlooking the RA a bit? I want to be able to camp there more effectively, and I feel like that area lacks some purpose because you can't see enough of the floor below it. I also agree a power-up would be a good addition to tourney games. Well, for CA it will be nice. And also TDM will be playing nice, because of the large scale. Just look at quarantine in QL. It has also a big scaling. But in CA it rocks. mb add more ammo and how about a couple of teleports? I know people have been saying the scale is too big, and I halfheartedly agree. 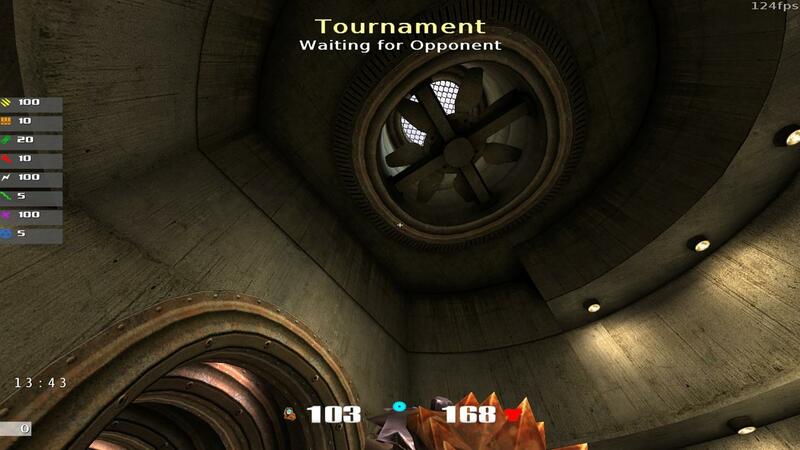 However, call me crazy, but, without a power up, it seems this map would be good as a very large scale tourney map. 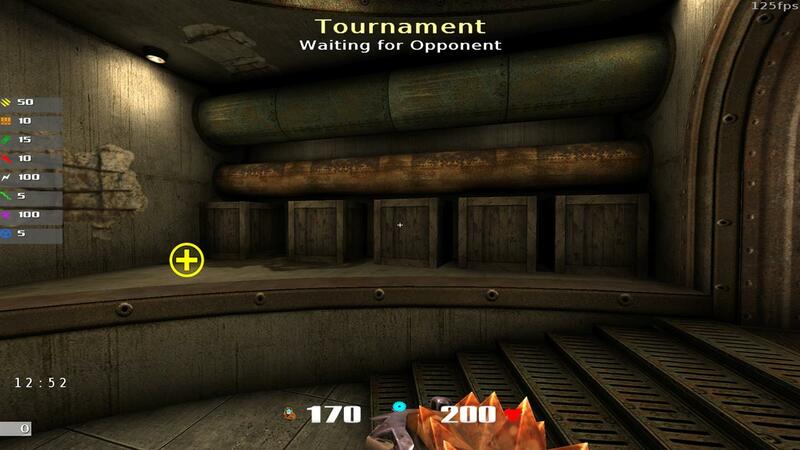 If you added two teleports and ammo as suggested by extone, it may work well as a tourney map without a power up, similar to how Furious Heights on Quake Live is capable of being a tourney or TDM map with a power up. It's very apparent that your inspiration draws from House of Decay. 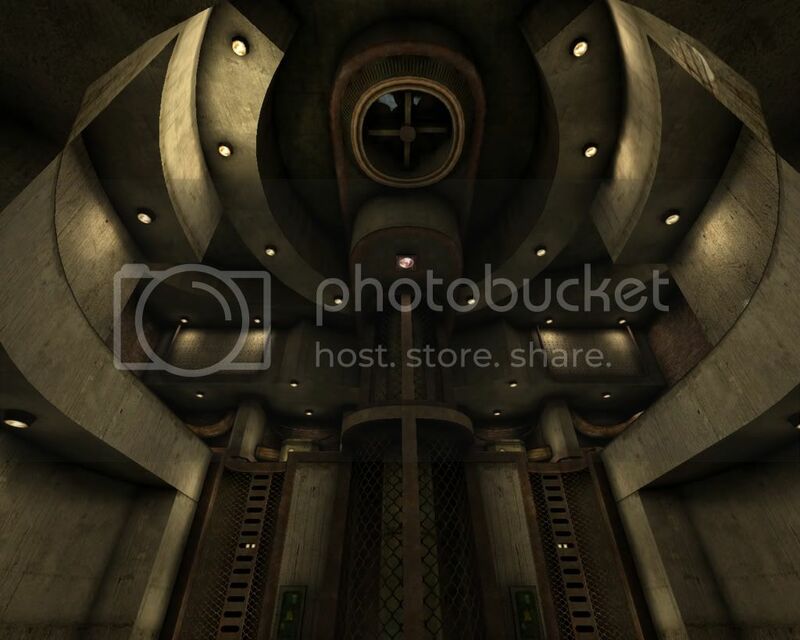 I feel this map is more of a tourney map than a TDM map in its design and gameplay. Perhaps that is simply due to the lack of a power up, but it's not a bad thing. Embrace this design, add some teleports and ammo, and dignify each gametype separately. Move some items per gametype. I also agree it would work in Clan Arena. This map is a very... interesting build. It's very flexible, but also very straight forward. With or without certain items (i.e. 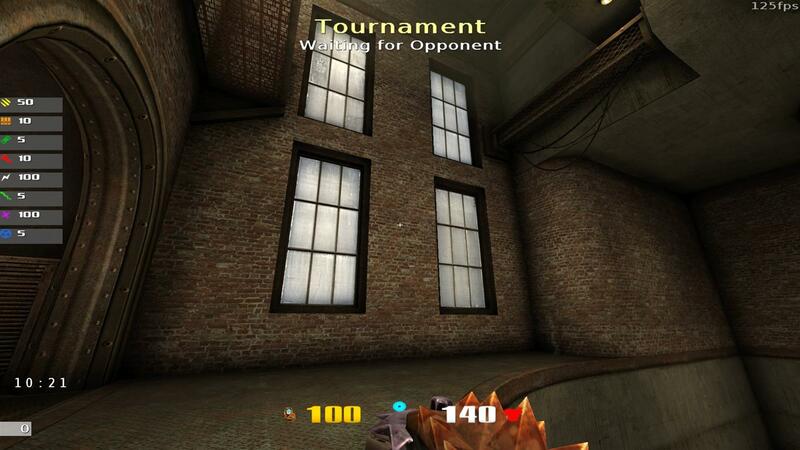 a power up) it is possible to dictate the gameplay to centralize around certain points. While the map may be big, the fluidity in being able to narrow the focus points (not a reference to sock <3) to smaller portions of the map (RA and MH) causes this map to adapt well to several gametypes. 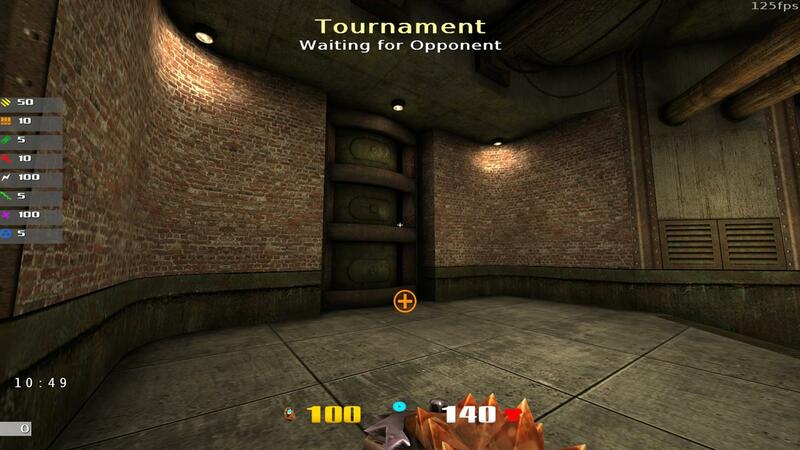 This map could probably stand strong on FFA, TDM, Tourney, and Clan Arena. This, however, is just my opinion. @ Pat: Thanks for the feedback. You are correct on the scale being "off". Getting things to "look" correct and "play" correctly are really two different things when it comes to the Quake based multiplayer engines. 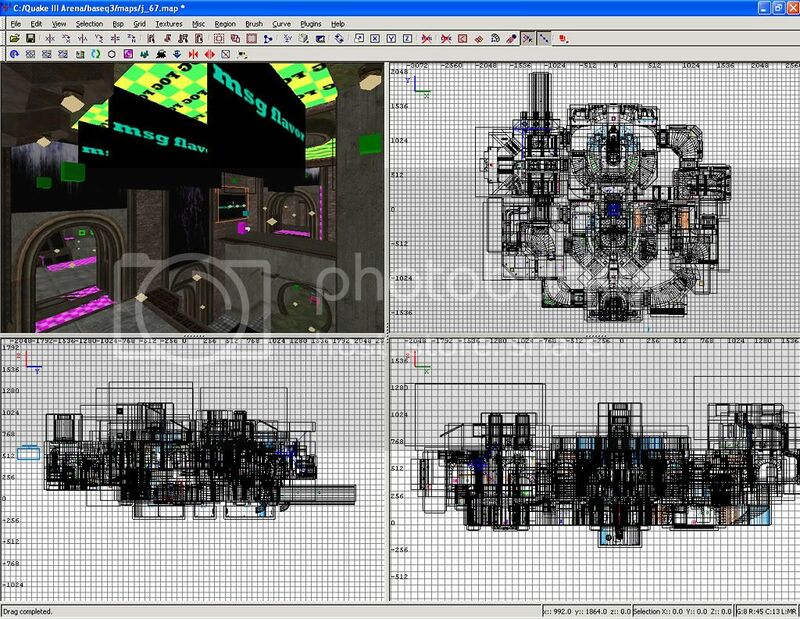 When I made my first "real" map for q4 the scale was pretty big, but it played wonderfully and people played the heck out of it in FFA. My second map for Q4 I tried for a realistic scale as it was set in a spaceport of sorts. Everyone hated the original betas because they couldn't get enough speed or kept bumping their heads, etc. @Anthem and extone: Really appreciate you giving the map a look. 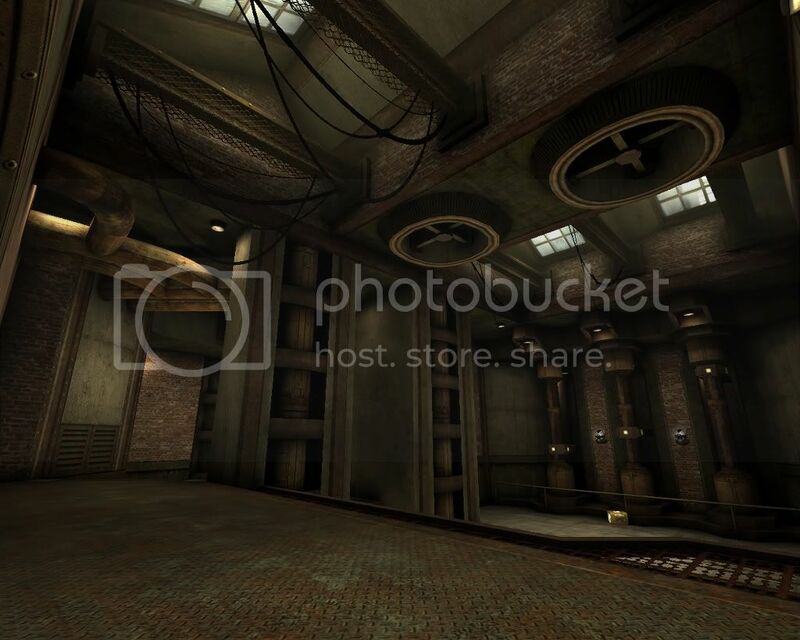 If either of you have any specific ideas on how to make this a good Tourney map also, I'm all ears. Thanks a ton for the feedback guys. I decided to leave this as a TDM, FFA map (at least for now). I still think it is too big for Tourney. Maybe later I'll delete half of the map and create a separate version for duel matches. Due to other obligations, I probably won't have time to update the map again unless someone finds something pressing that really needs to be fixed.